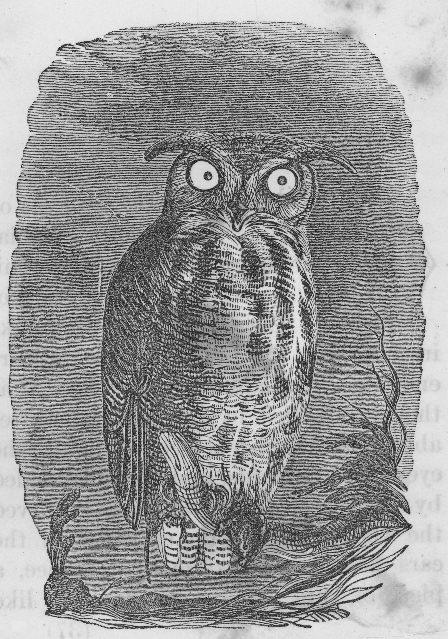 Large black and white drawing of an owl with its supper. This copyright free bird image would make a dramatic addition to your next creative project. Crosby, Nichols and Company did not identify either an author or an illustrator when they released this work in 1853. But, since Uncle Sam’s Library for Boys and Girls in His Country was published over 120 years ago, all of the drawings, which were in it, are in the public domain.